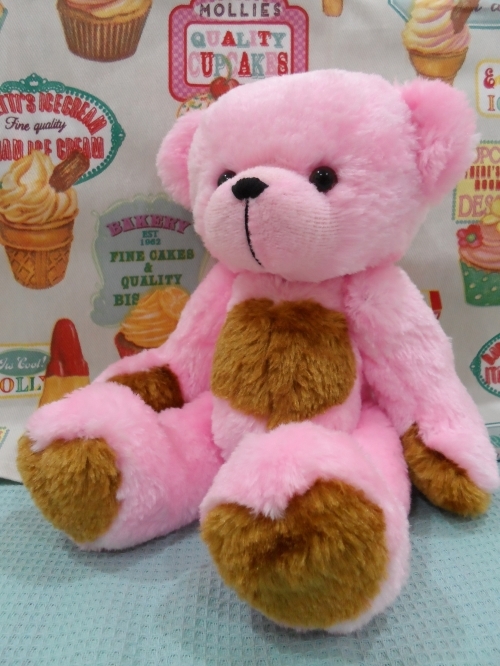 Purchase this teddy now and earn 134 Adoption Points! Thanks so much for looking at my bears bears are all over hand sewn from mohair-fully jointed and filled with steel and Dacron. All bears have a sewn in back tag and comes with birth date swing tag. All bears are one of a kind . 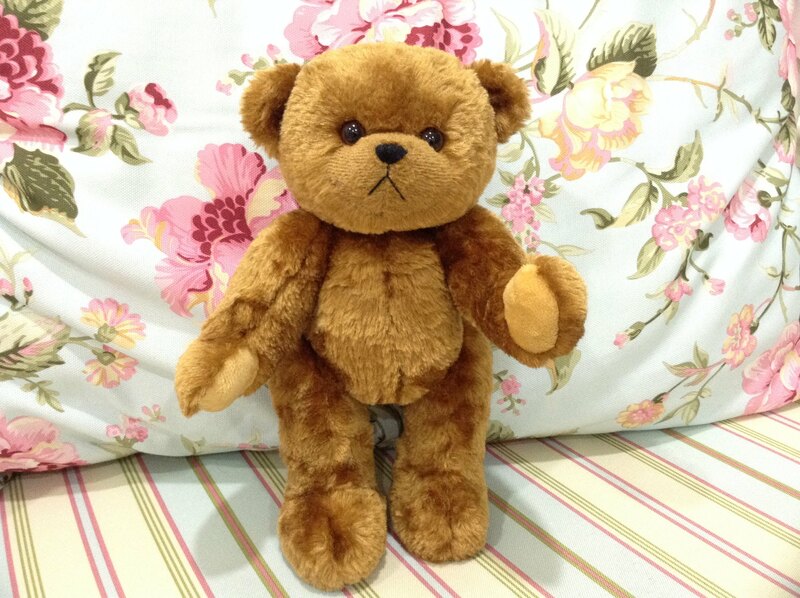 The bears are sewn with nylon thread made to last generations . The beautiful clothing is overlooked and sewn to perfection from the the finest cotton and beautiful materials and cotton heirloom trims. 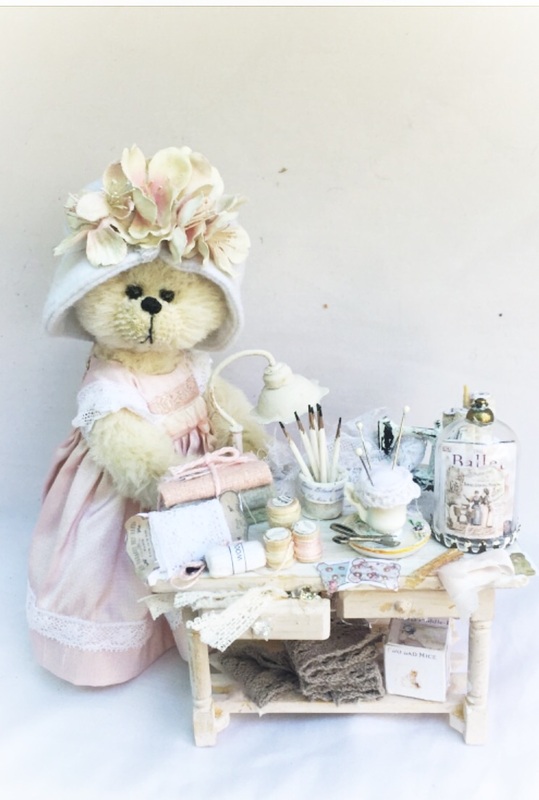 The miniature items put with the bears are also all my original designs.